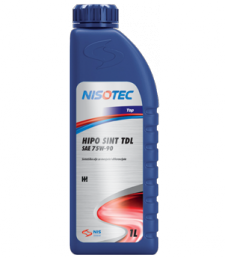 NISOTEC HIPO SINT TDL SAE 75W-90 is synthetic oil of superior quality for lubrication of gear and differential of motor vehicles and machinery with extended oil drain intervals. Provides excellent protection and easy change of speed in a wide temperature range. Has excellent low temperature properties, reduces friction and enables a reduction in fuel consumption. NISOTEC HIPO LD SAE 80W-90 is a mineral oil for lubrication of heavy-load gear in the transmission, axles and differentials of vehicles which are expected to endure extreme pressures and shock loads. Recommended for lubrication of a wide range of gearboxes and differentials in light commercial vehicles, trucks, buses, agricultural and construction machinery designed for operation in severe conditions. Especially suitable for lubrication of different-type rear axles. 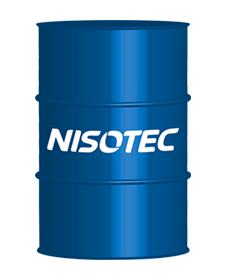 NISOTEC HIPO EP SAE 80W-90 and SAE 85W-140 are multi-grade multipurpose mineral oils with EP additives for lubricating differentials, gearboxes, drive shafts and other circuits which require API GL-5 oil quality. Recommended for lubrication of hypoid, spiral conical gears and gears of similar structures operating in high-speed/ small torque, low speed/ high torque and high speed/ shock load conditions. Used for lubrication of assemblies in passenger and commercial vehicles, buses, construction, mining and agricultural machinery which require the use of GL-5 oil performance level, as recommended by equipment manufacturers. NISOTEC HIPO GL-4 oils are mineral base oil intended for the lubrication of gear transmission in vehicles and machinery requiring mandatory compliance with API GL-4 oil performance level. Features optimal properties and is recommended for manual gearboxes, universal joints and steering mechanisms as recommended by the vehicle manufacturer provided in the service booklet. 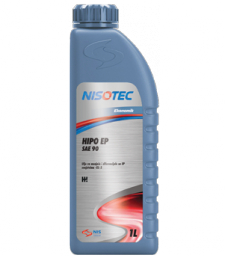 NISOTEC HIPO EP SAE 80W, SAE 90, SAE 140 is a mineral mono-grade multi-purpose oil with EP additives for lubricating differentials, gearboxes, drive shafts and other circuits which require API GL-5 oil quality level. Recommended for lubrication of hypoid, spiral conical gears and gears of similar structures operating in high-speed/ small torque, low speed/ high torque and high speed/ shock load conditions. Used for lubrication circuits in passenger and commercial vehicles, buses, construction, mining and agricultural machinery which require the use of GL-5 oil performance level, as recommended by equipment manufacturers. NISOTEC HIPO ZF LD SAE 80W-90 is a multi-purpose mineral oil intended for lubrication of differentials, axles, transmissions and other systems for power transmission requiring API GL-5 oil quality Formulated to protect heavily loaded gears couples thus providing reduced wear and extended oil drain intervals. Recommended for lubrication of differential gear, transmissions and axles built in passenger and commercial vehicles, buses, agricultural, mining and construction machinery requiring EP oils. Specifically approved by ZF and MAN for use in various types of transmission systems.